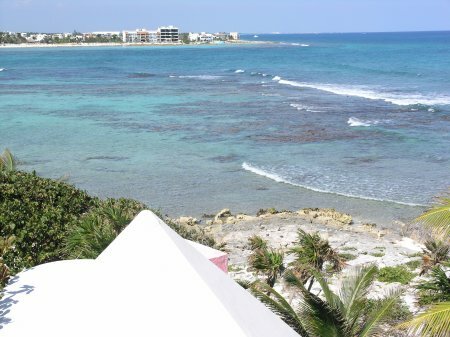 Perched on the south rim of Half Moon Bay in North Akumal, Casa Luna, is a lovely three-story villa with spectacular views of Half Moon Bay and the Caribbean. 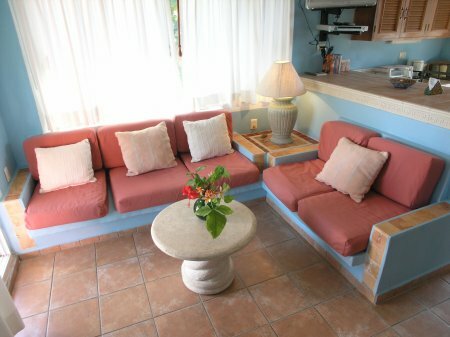 Casa Luna’s living room is casual and comfortable, with built in seating, double glass sliders opening to the seaside patio and many unique features, including the indoor/outdoor swimming pool that comes right into the living room! 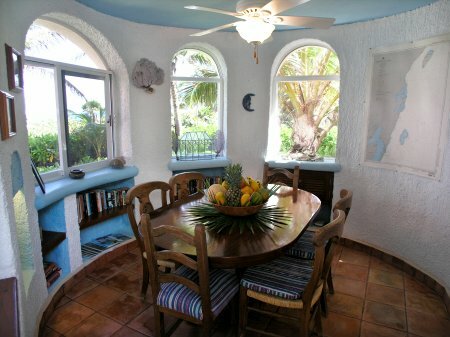 The dining area is just off the living room, with arched windows following the circular curve of the room, serving up lovely views while dining. 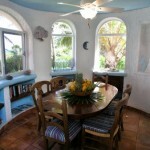 The well-equipped kitchen is open and bright, flooded with natural lighting from the large side window and an arched pass-through to the dining room. 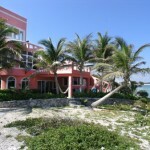 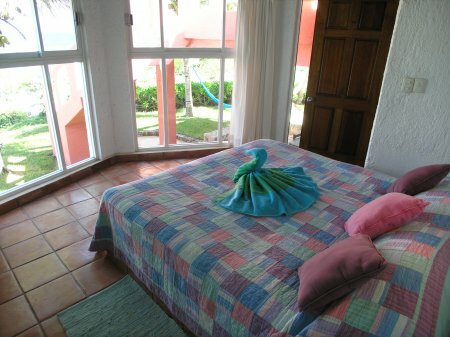 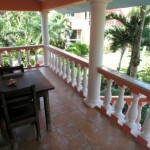 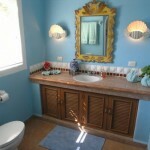 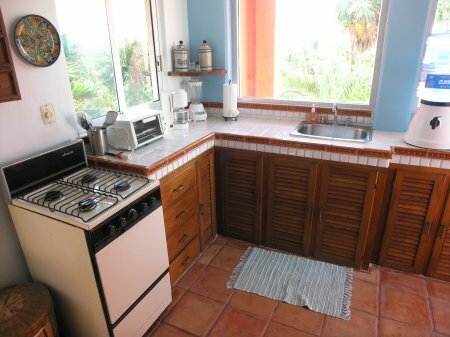 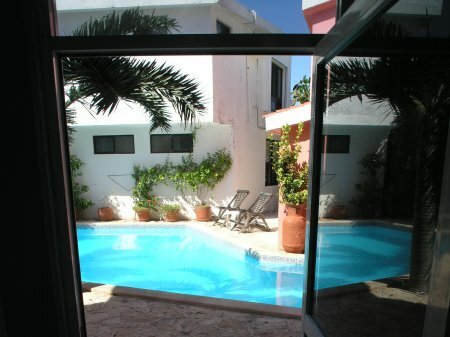 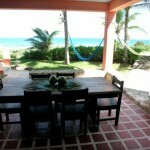 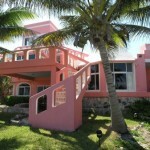 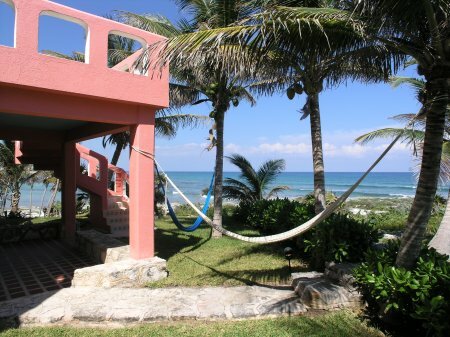 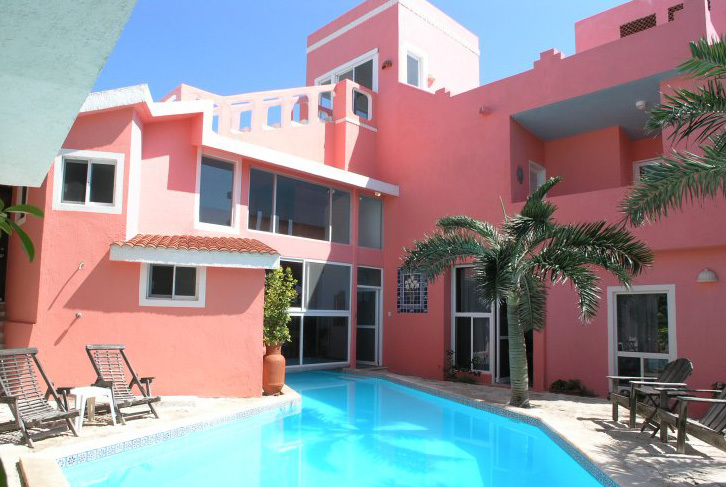 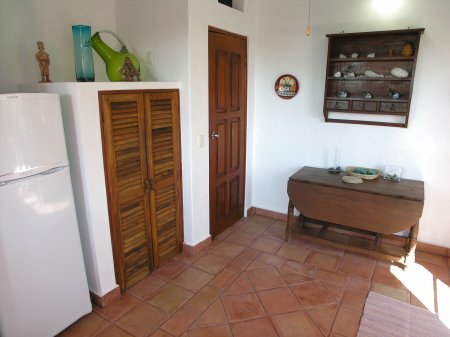 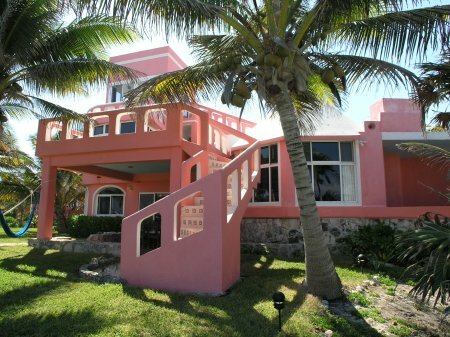 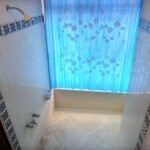 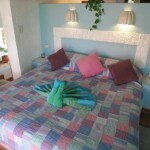 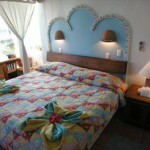 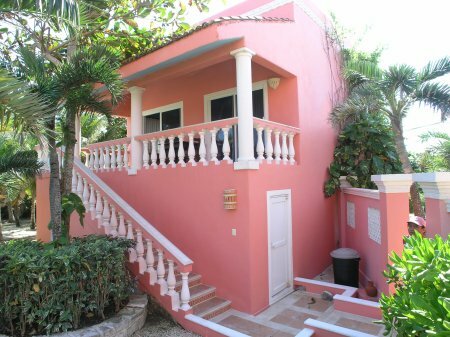 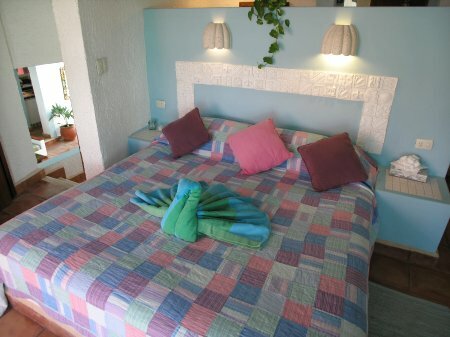 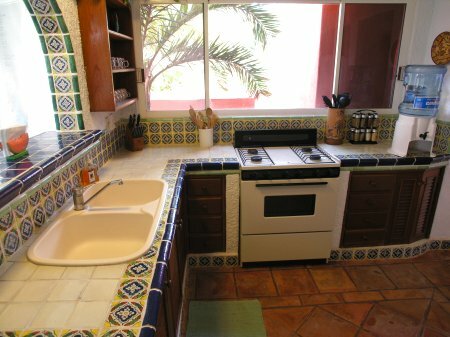 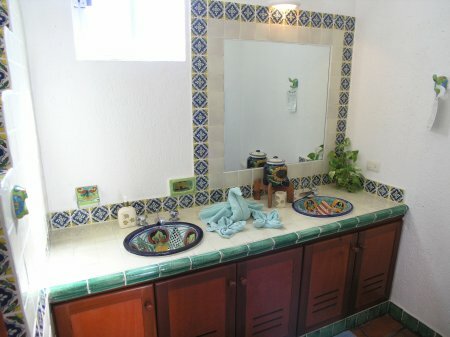 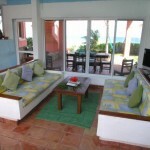 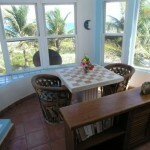 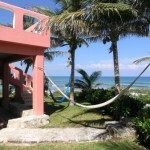 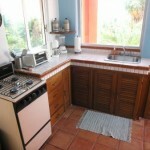 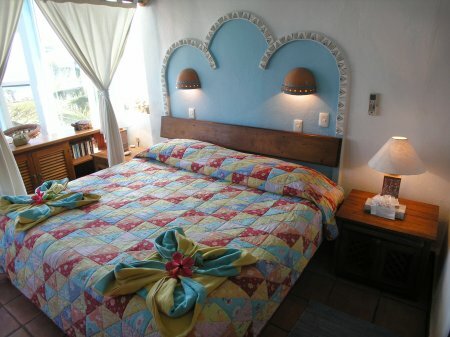 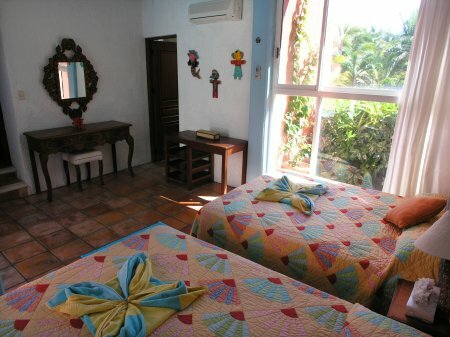 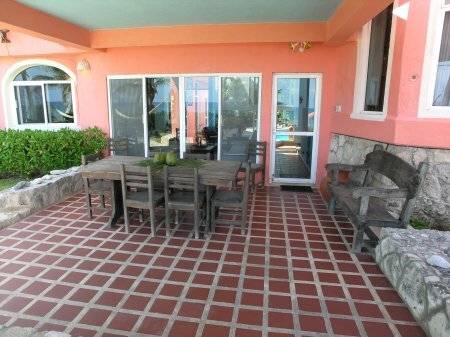 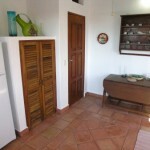 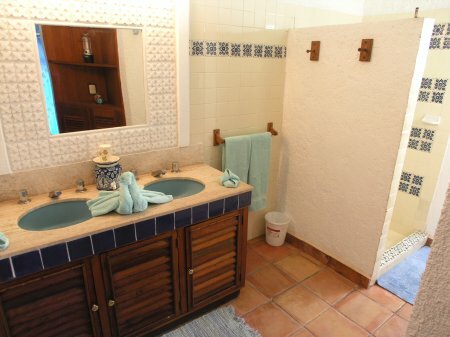 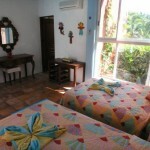 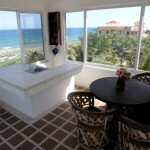 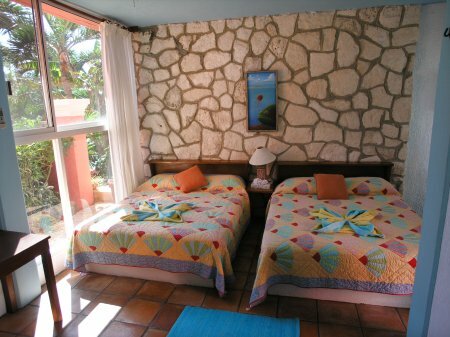 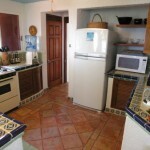 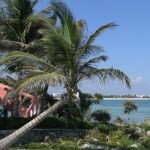 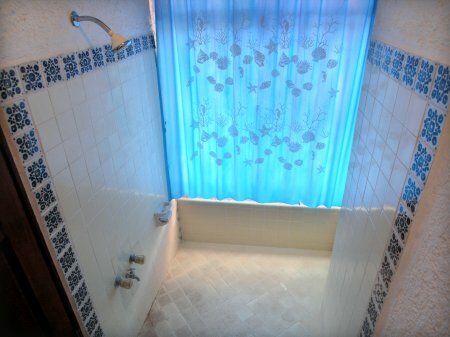 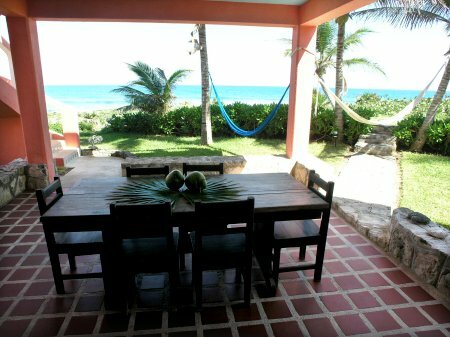 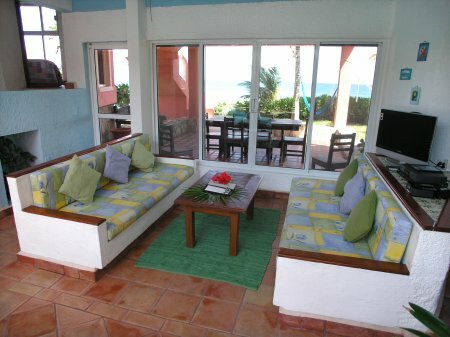 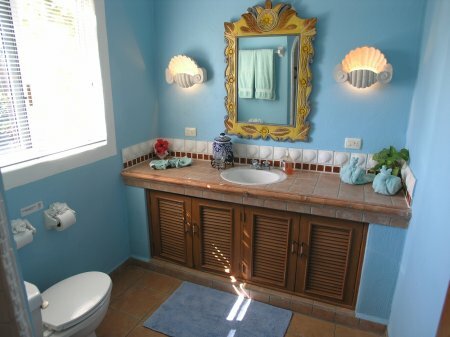 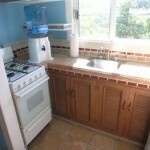 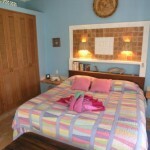 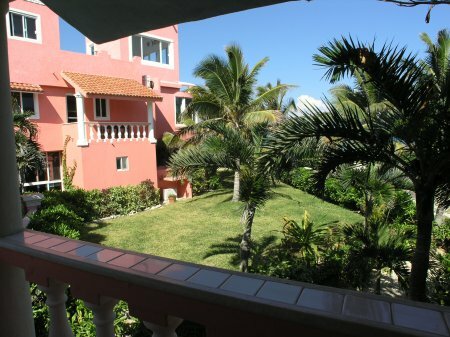 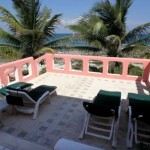 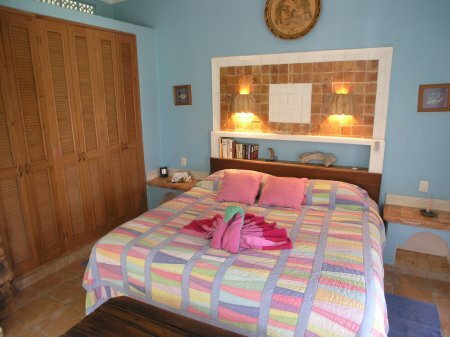 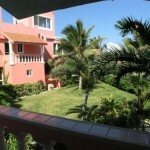 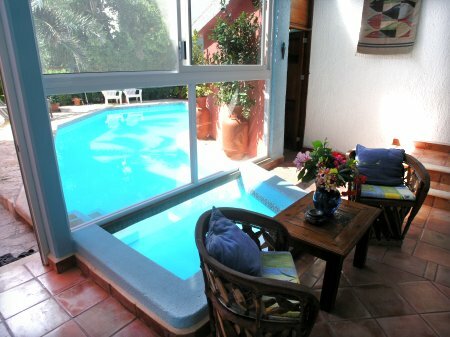 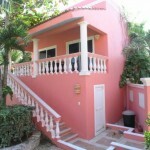 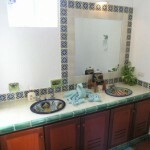 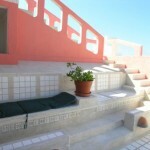 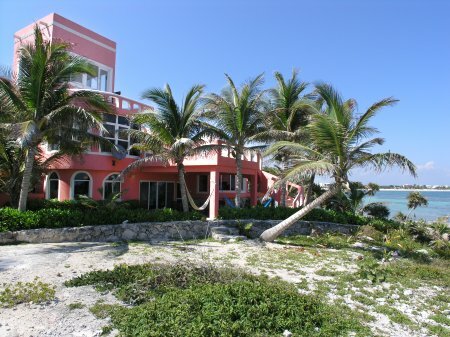 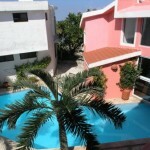 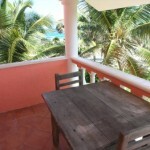 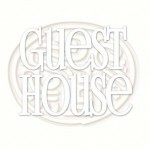 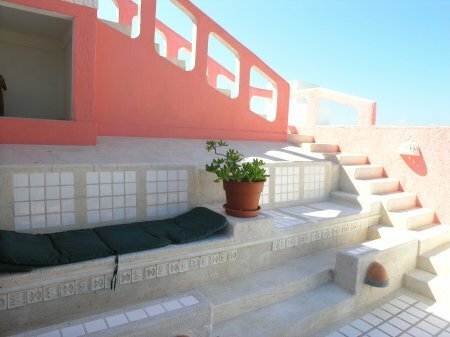 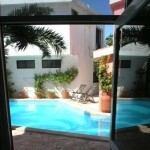 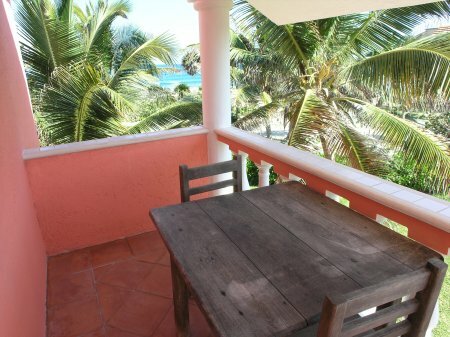 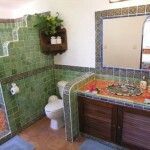 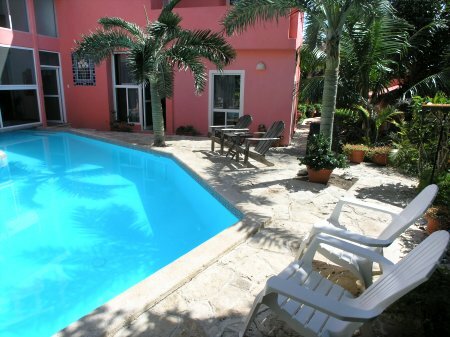 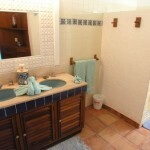 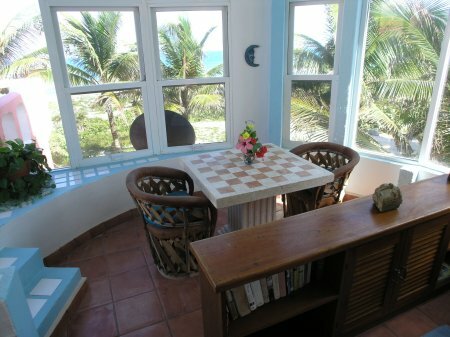 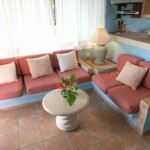 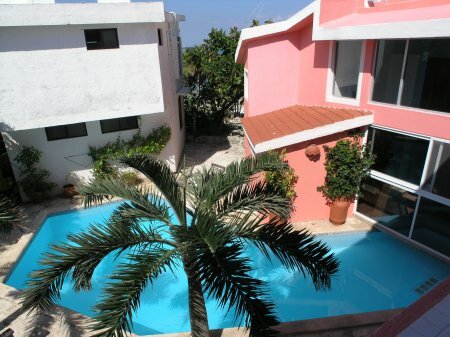 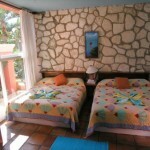 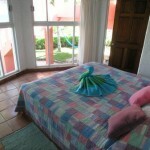 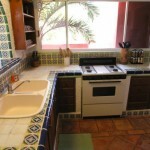 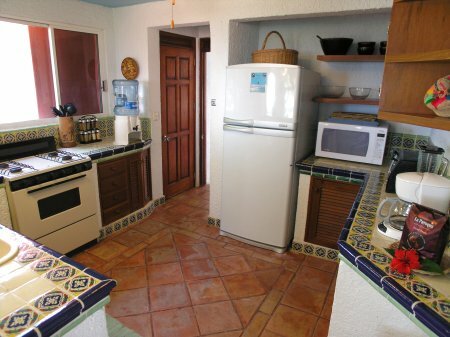 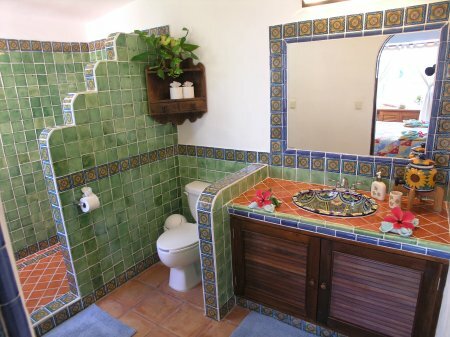 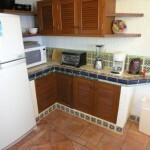 The main floor of Casa Luna has two bedrooms; an ocean view master with a king size bed and private bath, and a guest bedroom with two queen beds, private bath and private access to the pool. 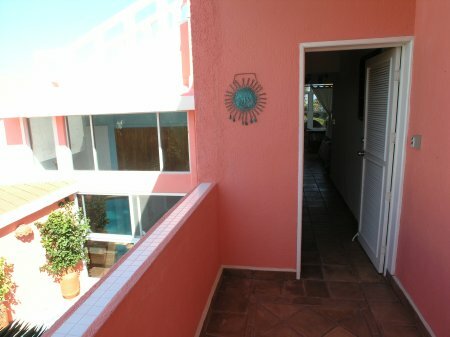 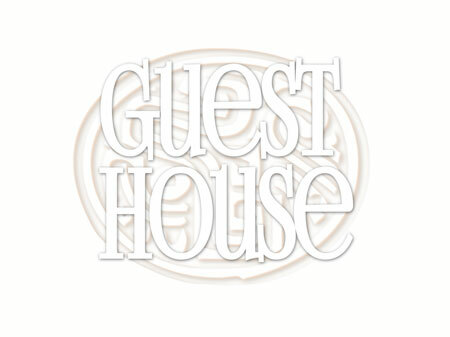 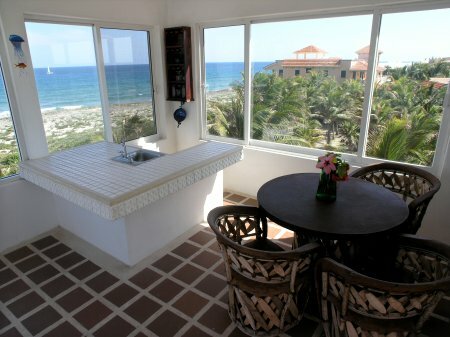 On the second floor is an ocean view master suite with a king size bed, sitting area, a private bathroom, a separate private kitchen, a small, private sea view balcony and direct access to the second floor sun terrace. 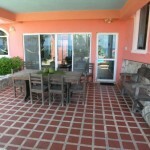 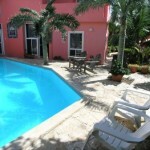 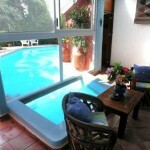 There are several outdoor patios and terraces perfectly designed for entertaining and just relaxing. 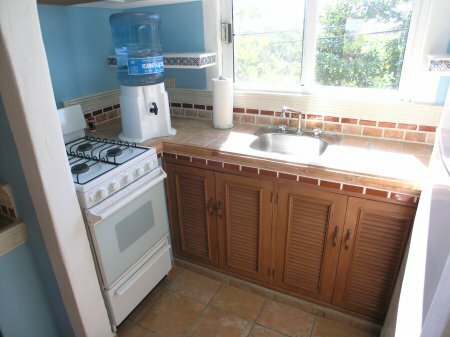 A built in outdoor grill, with prep area, is available for cookouts. 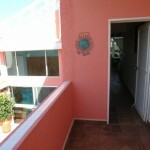 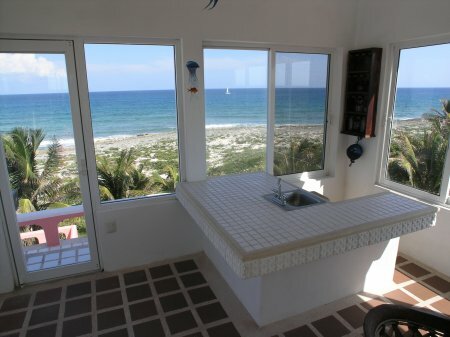 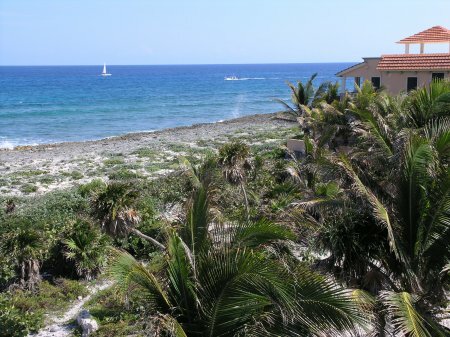 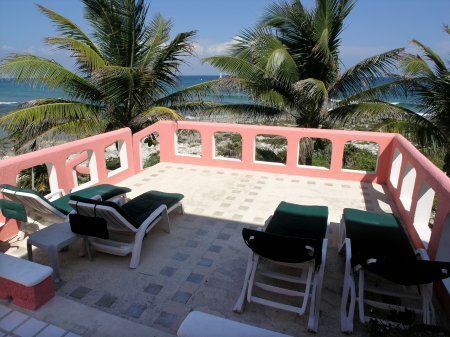 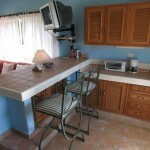 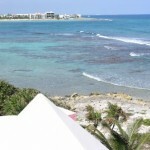 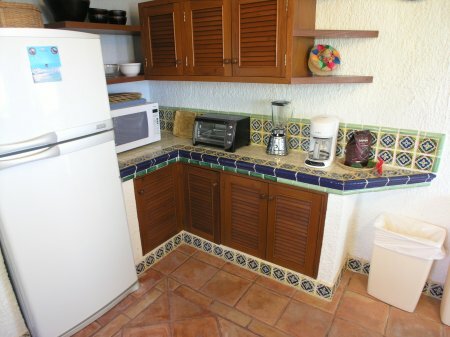 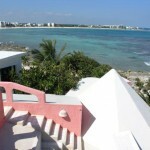 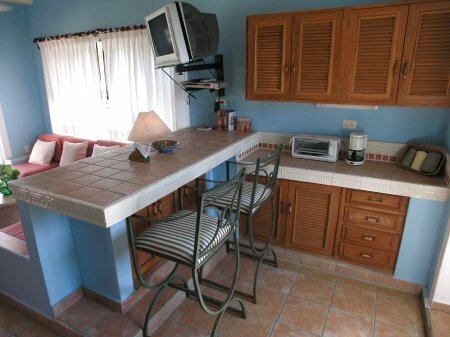 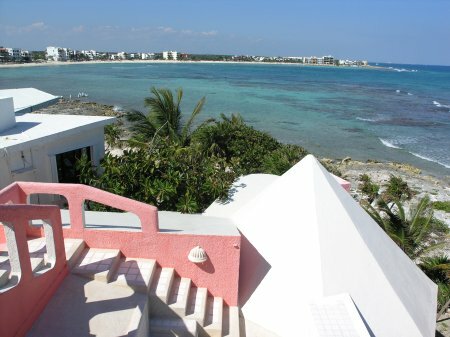 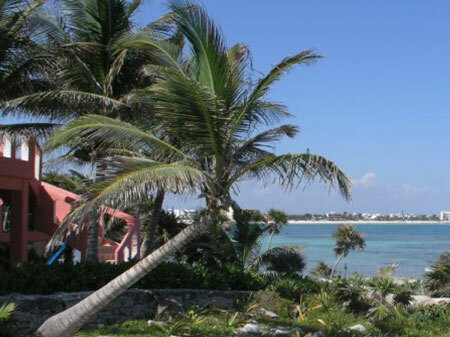 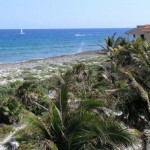 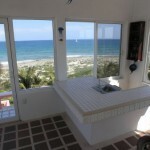 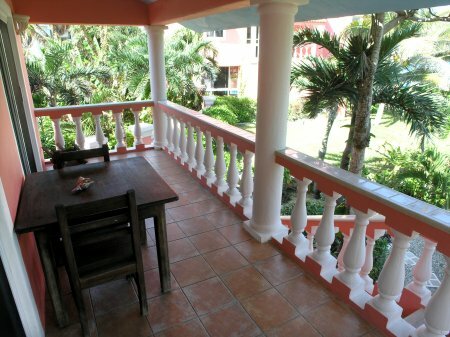 And, if the mood strikes and you want to try another perspective; the third floor observation tower has a wet bar, television and commanding views of Half Moon Bay, the Caribbean, and the mangrove jungle; positively one of the best views in Akumal!